Please select a size. 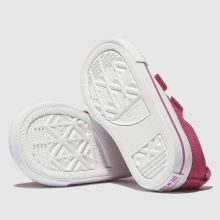 UK 2 - In StockUK 3 - In StockUK 4 - In StockUK 5 - Low StockUK 6 - In Stockview larger sizes Please select a size. 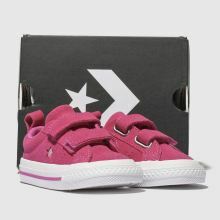 Taking on an icon, your little one will make big strides in this sweet kids' Converse. 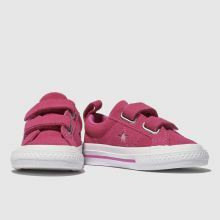 The One Star 2V trainer holds more stars in our book and arrives today with a pink suede upper and glistening star branded cut-out. Easy fasten straps complete.